Rabbi Doniel Danishevsky’s in-depth Talmudic training began at Yeshiva Torah Temimah in Brooklyn, after which he studied at the prestigious Brisk Yeshiva in Yerushalayim. He then continued his studies at Beth Medrash Govoha, where he first settled with his wife Sima (nee Lansky) of Baltimore, Maryland. The Danishevskys relocated to Los Angeles in 1995, when Rabbi Danishevsky joined the Lakewood Kollel in Hancock Park. During his tenure at the Hancock Park Kollel, Rabbi Danishevsky established himself as an outstanding Talmud Chacham with unusual pedagogic and mentoring skills. 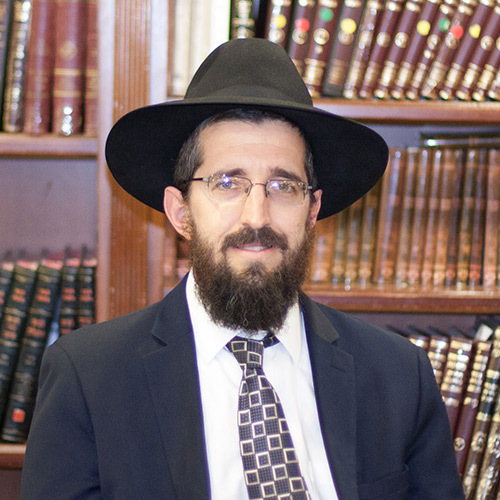 His reputation has attracted new Avreichim to Merkaz Hatorah Kollel and it is under his tutelage that the Bais Medrash program has been so successful. Rabbi Danishevsky’s shiurim, both for the Avreichim and for the general public are very well received. We are very grateful for his contribution to the leadership of the Kollel. His wife, Mrs. Danishevsky, currently serves as a Jewish history teacher at the local Bais Yaakov School.